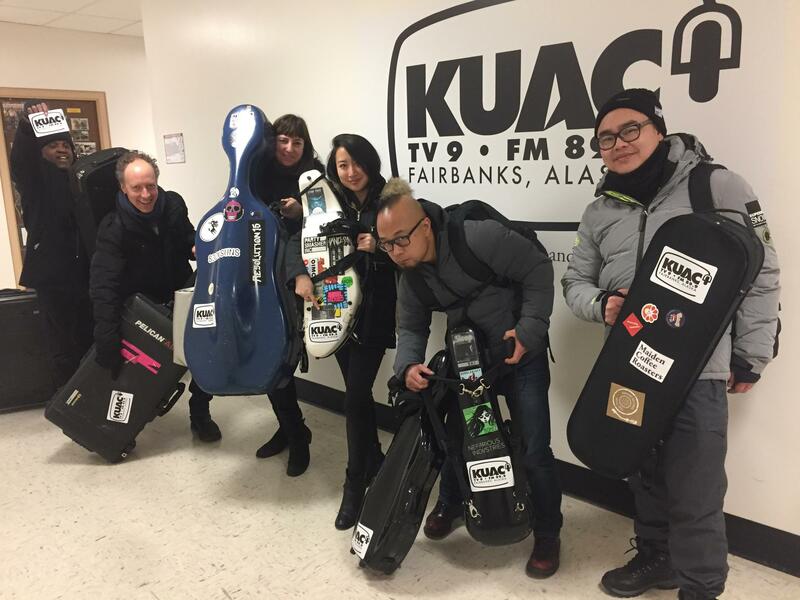 Improvosation is highlighted by all the groups here for Fairbanks Concert Association's FEBfest. Sirius Quartet started off Alaska Live with an arrangement of Elenor Rigby and shared original compositions too. SEVEN)SUNS rocked hard with their brand of neo-classical and heavy metal string quartet music. Silverman/Futureman rounded out the session with truly one-of-a-kind electric violin and drumitar improvised tunes. Find some time and some space for innovation and inspiration from these talented folks.